Do you have evidence a hospital is engaged in outlier payment fraud? The Centers for Medicare & Medicaid Services (CMS) would be interested in learning about cases where a hospital is fraudulently increasing its charges to obtain an outlier payment. The Office of the Inspector General expressed concern in 2013 that hospitals might be taking advantage of this system. If you have evidence a hospital has submitted false claims, we can help you report them to the Department of Justice and Medicare. Congress set up the the False Claims Act to incentivize individuals to report this type of information to the U.S. Government. The False Claims Act is a whistleblower law designed to create a public-private partnership in the fight against fraud. It has been used to successfully recover billions of dollars originally lost due to health care fraud. Your information is filed “under seal” and the Department of Justice will investigate it. The scheme will either defraud the government by making routine cases look extraordinarily costly or grossly inflating payments from Medicare in legitimate outlier cases. If the company has inflated the prices it charges the government to an amount substantially over its actual costs, in order to receive a higher amount of Medicare funds, then it may have violated the False Claims Act. When a hospital rapidly increases the charges it bills for medicare costs in an amount greatly out of proportionate to any increase in costs, the practice is known as turbocharging. The hospital can also only bill for costs or services properly attributable to the Medicare patient. The inclusion of costs that are not attributable to their care for the patient would also violate the law. 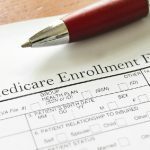 Why Does Medicare Make Outlier Payments? Hospital claims for inpatient stays through Part A are processed through the Inpatient Prospective Payment System. Medicare normally reimburses hospitals for patient care according to the appropriate Diagnostic Related Groups. The government pays a flat fee for patient care rather than an itemized bill. The government set up this system to put the impetus on the hospital to find cost efficient ways to treat patients. However, the government does not want to bankrupt hospitals that engage in costly treatments to save patients. To address this problem, Medicare will also make supplemental payments for cases that involve costs over a set threshold. These additional payouts are known as outlier payments. Nearly all hospitals receive them. A hospital indicates its interest in receiving an additional payment for patient treatment in the initial submission of its UB-92 form. In 2013, the Office of the Inspector General determined that outlier payments warrant increased scrutiny. After studying claims from 2008-2011, they determined that a these reimbursements accounted for around 12 percent of payments at over 100 hospitals. The average percentage of outlier payments to IPPS reimbursements at hospitals that were not in the group of “high-outliers” was approximately 2.2 percent. The report expressed concern that the high-outlier hospitals were charging Medicare substantially more when their cases appeared similar to those at hospitals which did not receive as many outlier payments. The report compared the patients for similar average lengths of stay and cost-to-charge ratios.